Yesterday I wrote about presidential spokesperson Kellyanne Conway who defended a number of outright lies posited by Press Secretary Sean Spicer as alternative truth. The statement was astounding and was met with much criticism and ridicule, but it reflects an attitude that of cynicism that has swept our nation that facts as they are, are unimportant, that truth itself is malleable. The world that most of us grew up with is changing before our eyes and it is happening around the world and it is hard to say what is going to happen. 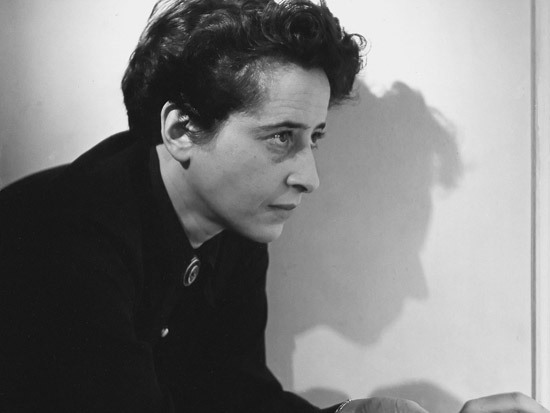 I started re-reading Hannah Arendt’s book last night. It was one of my texts as an undergraduate when studying Hitler’s Germany. The book deals with both Naziism and Stalinism which makes it in some sense like Timothy Snyder’s Bloodlands: Europe Between Hitler and Stalin. While the latter focuses more on how Hitler and Stalin used their power on their own people as well as the Poles, the Ukrainians, the Belorussians, and others who happened to find themselves swallowed up by the two totalitarian states; Arendt’s book more at the underlying social conditions. In a time when populist politicians around the world are speaking in the the language of authoritarians, and promising to deliver their people from various political, racial, and religious enemies, it is important to remember where such talk almost always ends, totalitarian states. But the fact is based on numerous polls in this country and around the world going back two decades show a rise in people of all ages and ideologies who are willing to accept authoritarian government and to abandon democracy. Well before President Trump ever announced his run for the presidency in 2015 the stage was set for an authoritarian leader to arise in the United States just as many are doing in Europe. Whether President Trump actually ends up ruling as an authoritarian is not yet clear, but the signs keep pointing that he may be heading in that direction, and that his followers will have no problem with it. His inaugural address was marked by his distain for both political parties and the political establishment and linking himself with the people. It was loaded with populism and nationalism, as are the messages of Vladimir Putin, Nigel Farage, Marine Le Pen, and others in Europe. So how did we get here? How did we get to the point that a presidential spokesperson can defend lies and refer to them as alternative facts? I will discuss that passage in depth at another time but I think it is good just to let it sink in.